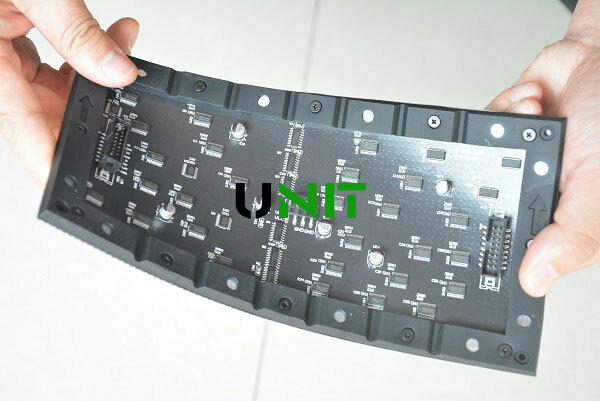 Soft LED display panel is also called soft LED screen panel or flexible LED diplay panel, the main feature is that the panel is very soft and flexible, the panel can be bend, waggled, swayed, swing and twisted. 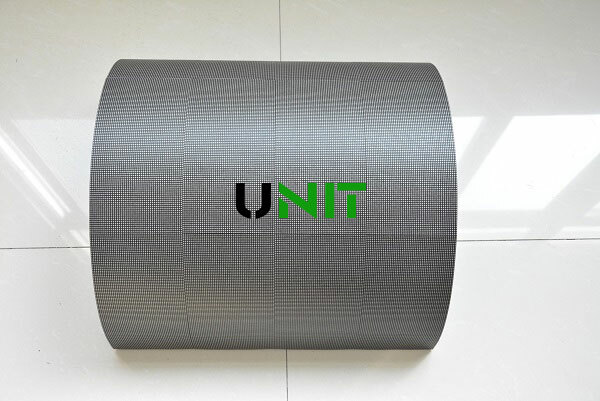 These panels are mainly used for making flexible LED display, creative LED display and irregular shape LED display such as fan-shaped, cylinder, cube and more. Mask & Frame: Special silicone material to make the panel is soft, flexible and can be designed to any shape LED display as customer’s need. 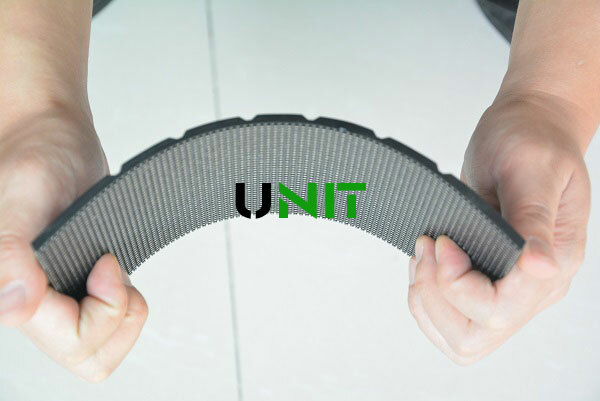 Strong Magnets: With 12 strong magnets scattered over the 4 sides of the panel to make the panel can stick to metal structure easily and tightly. LED: Pure Black SMD2121 3in1 LED to ensure the LED panel is high definition, high refresh rate with uniformity color and vivid image. Driver IC: MBI5124 or ICN2038S Driving IC to make the LED panle is high contrast to display clear image and video. 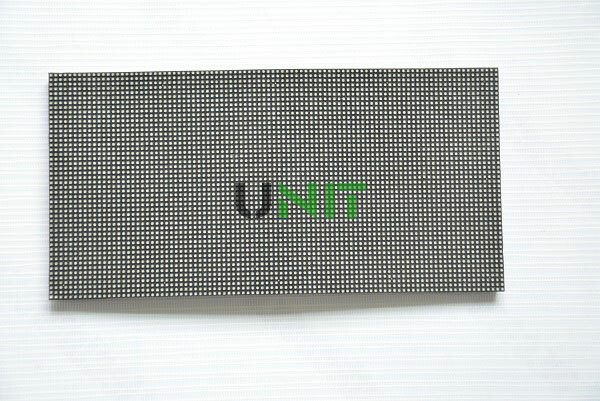 Weight: Soft LED display panel is ultra light with only 150g. Easy transportation and reduce labor and cost. 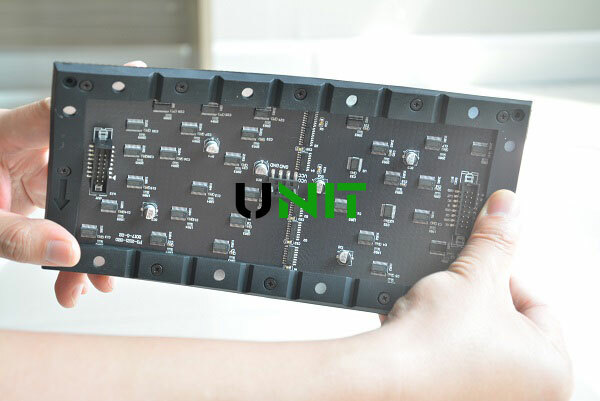 Front Servie: the panel is front maintenance without any front side screw holes, the panel can be taken out easily as it is adsorbed on the cabinet using magnets. 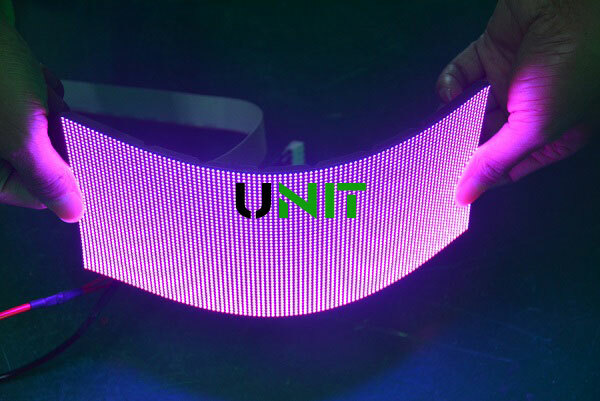 Customized Shape: soft LED display pane can be customized for any shape LED display as customer’s demands. 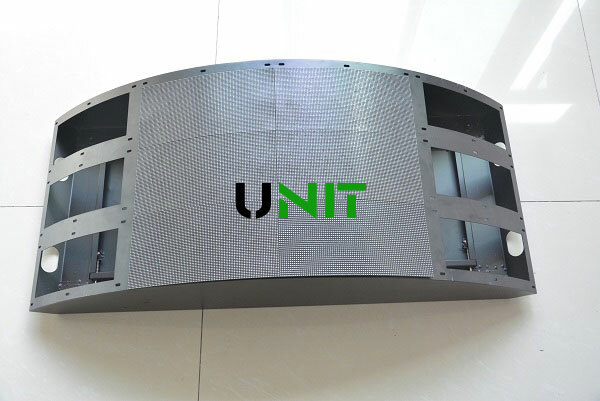 UNIT Soft LED display panel utilize high quality supple and sturdy silicone to design, the whole panel can be curved, arch or bend with 0 – 45 degree, and the panel can be shaped into a curve or angle to design the wanted shape LED display as you need. 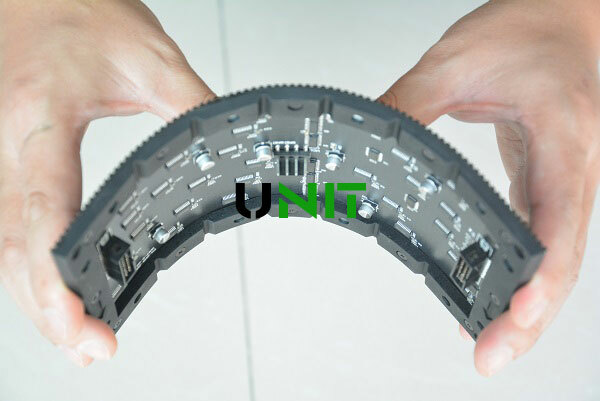 With all said above in the first feature, the soft LED display panel is made of soft rubber, which make the panel with high flexibility, can be assembled freely and has the ability to be bend and cured without any LED lamps are damaged. 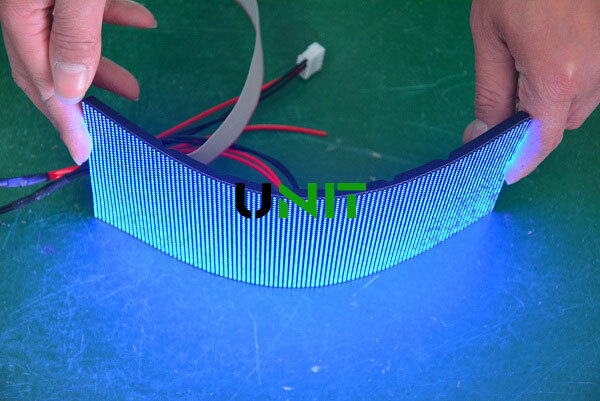 The weight of soft LED display panel is only 150g and the thickness of LED panel is only 6mm, super thin and super light for easy transport and carriage.In the meantime, it also save you labor, time and cost greatly. 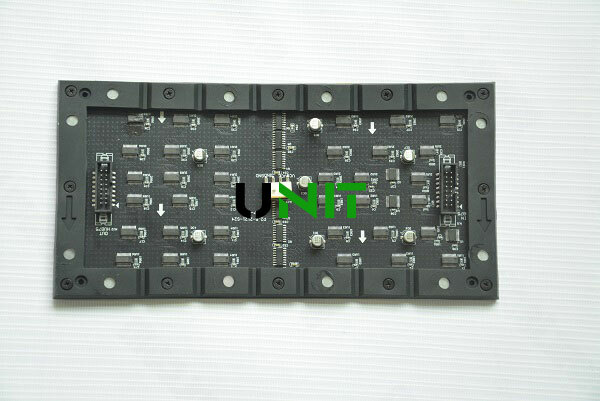 UNIT soft LED display panel adopts strong magnets embedded arround the panel, this feature of high magnetic to make the soft LED screen panel can be attached on the metal cabinet and help them keep their shape. 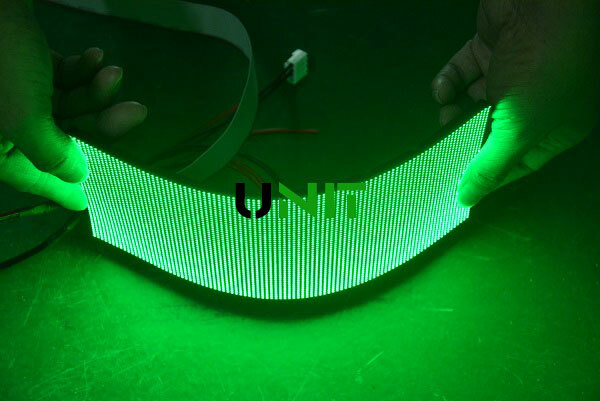 UNIT soft LED panel is designed with the feature of frontal serive and front maintenance because of strong magnetic magnets, those panels can be taken out from the cabinet easily and quickly. 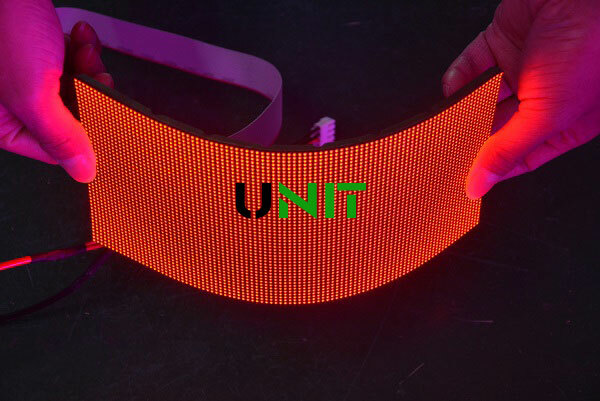 With the character of ultra soft and high flexibility, soft LED display panel can make many customized LED display according to customer’s needs. these customized LED display includes cube LED display, cylinder LED display, spherical LED display, polyhedron LED display and other irregular shape LED display. 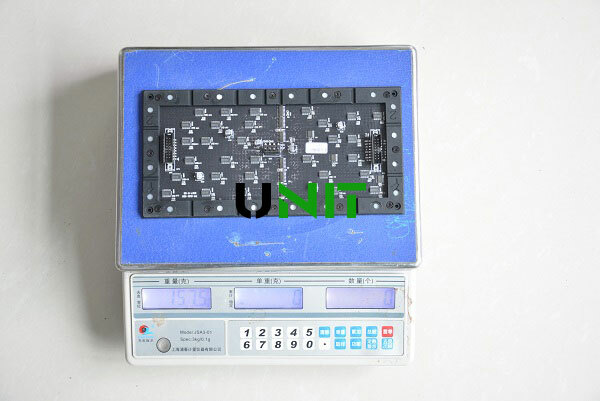 Unit soft LED display panel use nation star LED and high quality driver IC to make the LED display with feature of high refresh rate, high definition and high contrast. The display color is clear, uniformity and vivid. Soft LED display panel is mainly used for indoor LED display and customized LED display such as cube LED display, cylinder LED display, spherical LED display, polyhedron LED display and other irregular shape LED display. 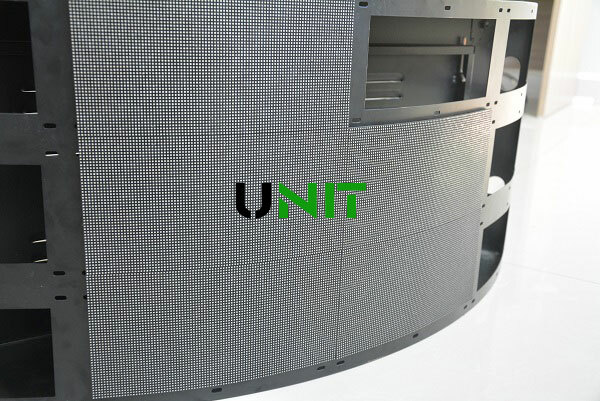 UNIT is a leading flexible LED display solution provider with more then 10 years and will give you a professional creative LED display solution depend on your requirement.